To learn more about ADA Pro check out our FAQ. Looking to download ADA Pro? 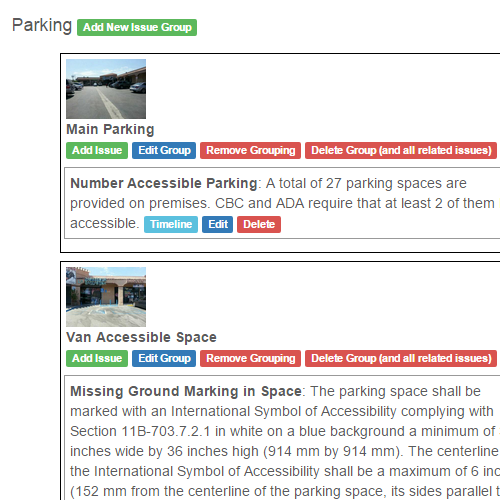 Customize code verbiage or use verbiage directly from the building code. Manage and create reports from the Field Forget your pen? No problem. Fumbling clipboards with stacks of pages while holding a digital camera or struggling to write notes on a windy day is a thing of the past. We've been perfecting this system in-house for the past 2 years See for yourself. Follow the inspection process. Keep all your data organized, by location, by site. Accounts are free to create. Pay as you go. Easily associate pictures with sections. No more cutting and pasting from past reports. Report formatting is done automatically. Fill out custom code and section verbiage for your own defaults. It'll save you hours of typing and re-typing. Enter timeline information once as a default for each issue. If a client's site is different, edit each issue individually on the report. Automate information management. Collect info and pictures on your mobile device. Fully edit a CASp report in the office. Save hours on formatting, typing and cutting and pasting. 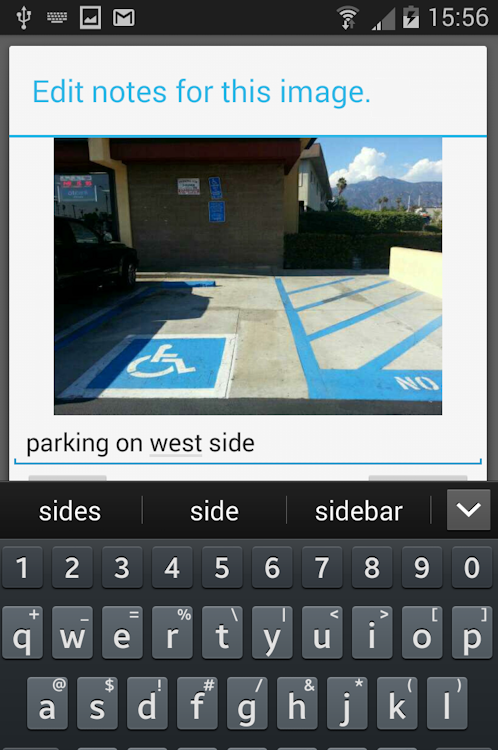 Customize locations and rapidly take pictures on site with our app (ADA Pro)! Upload the pictures directly to our server. 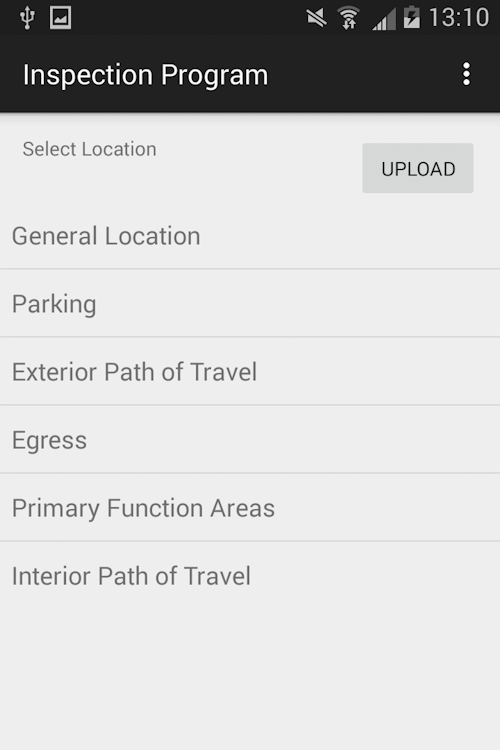 Take on site photos with our app, upload to the server for the report. Re-order sections, create custom sections, create your custom report verbiage, default verbiage or re-organize the order of issues. It's all up to you. You have been logged out for inactivity.